In this section, we’ll learn various ways to express the minimum expectation. This grammar is not used as often as you might think as there are many situations where a simpler expression would sound more natural, but you should still become familiar with it. In English, we might say, “not even close” to show that not even the minimum expectation has been met. In Japanese, we can express this by attaching 「さえ」 to the object or verb that miserably failed to reach what one would consider to be a bare minimum requirement. Conversely, you can also use the same grammar in a positive sense to express something is all you need. For nouns: Attach 「さえ」 or 「でさえ」 to the minimum requirement. For verbs: Change the verb to the stem and attach 「さえ」. For verbs in te-form, attach 「さえ」 to 「て／で」. There was so much homework, I didn’t even have time to go to the bathroom. The least you need is money and you can do anything. I didn’t even have money to buy lunch. If even I can do it, it should be a breeze for you. You can also attach 「さえ」 to the stem of verbs to express a minimum action for a result. This is usually followed up immediately by 「する」 to show that the minimum action is done (or not). If the verb happens to be in a te-form, 「さえ」 can also be attached directly to the end of the 「て」 or 「で」 of the te-form. If you just eat vitamins, your health will be guaranteed. The problem won’t be solved if you don’t even recognize your own mistake, you know. If only I had read the textbook more properly, I could have passed. If you only had said something things wouldn’t have turned out like this. 「（で）すら」 is a older variation of 「（で）さえ」 that is not as commonly used. It is essentially interchangeable with 「（で）さえ」 except that it is generally used only with nouns. For nouns: Attach 「すら」 or 「ですら」 to the minimum requirement. Even a genius such as myself couldn’t solve it. I was so nervous that I couldn’t even take a quick peek. There are no students that don’t even know the 「人」 Kanji! This grammar comes from the adjective 「愚か」 which means to be foolish or stupid. However, in this case, you’re not making fun of something, rather by using 「おろか」, you can indicate that something is so ridiculous that it’s not even worth considering. In English, we might say something like, “Are you kidding? I can’t touch my knees much less do a full split!” In this example, the full split is so beyond the person’s abilities that it would be foolish to even consider it. Forget about Kanji, I can’t even read Hiragana! We eventually broke up after going out two months much less get married. I didn’t even graduate from high school much less college. 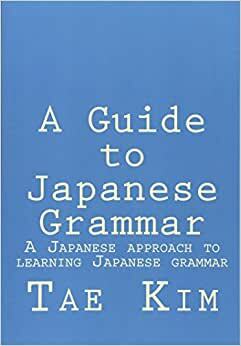 This grammar is rarely used and is primarily useful for JLPT level 1. The expression 「どころか」 is far more common and has a similar meaning. However, unlike 「おろか」 which is used as an adjective, 「どころか」 is attached directly to the noun, adjective, or verb.